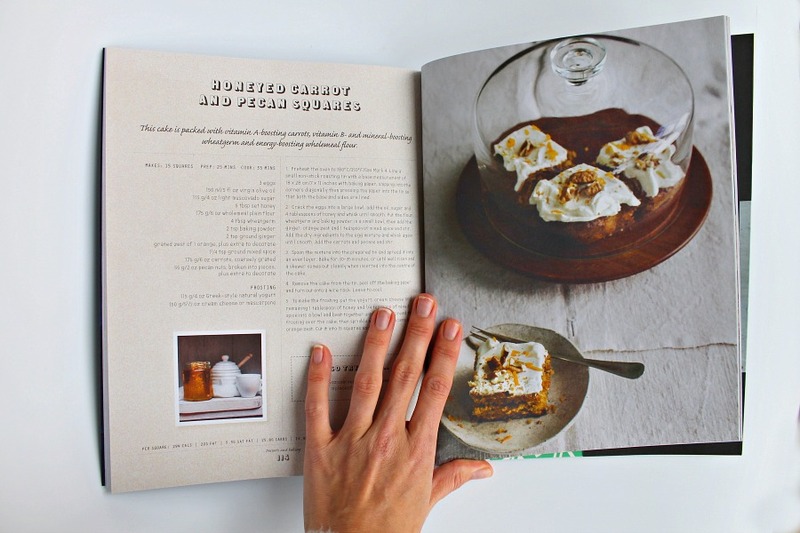 One of my favorite past times is reading cookbooks. I have loved it since I was very young. Not that I am any sort of a chef because I am far from it. I have long loved the food styling and drooling over the combination flavors that are described before me as I turn page after page. Parragon are highly know for their amazing children’s books, just peak here, here, and here to see. I have now been introduced to their cookbook range and I have to say I am just as thrilled by them. My first experience was on their famous On the Table in 30 cookbook! Brilliant for busy people like ourselves and when The Clean-Eating Kitchen arrived in the post, I may have squealed as I opened it. More recipes to pour over and test out on the family I couldn’t wait. If you are like me and you aren’t that fancy in the kitchen its hard to get creative with the same five-eight meals that you can cook. I try to alternate and change it up a little bit but I am sure I get into ruts where my family thinks, “this again?” No, just me? This is why I love cookbooks and I love The Clean-Eating Kitchen even more because they are clean, simple and natural recipes that I don’t have to be a pro in the kitchen to master. It was so hard to pick which recipe I wanted to share with you as they all sounds so yummy. We have tried a few since taking these photos too that turned out to be an absolute hit with my two kids and the hubster such as the Berry Kick-Start Smoothie for breakfast, and the Root Vegetable Crisps with herby Yogurt dip for an afternoon snack, to name a few. Just typing these makes my mouth water. This cookbook is full of really quick and easy recipes so if I can master them so can you. It’s my worse pet peeve when you buy a cookbook and the recipes all need hours of prep and are written in a complex language. Let’s be honest most of us are just wives, partners, husbands, mothers, or fathers in the kitchen whipping up something tasty for either ourselves or loved ones not chefs with professional kitchens at hand and hours to do the cooking. 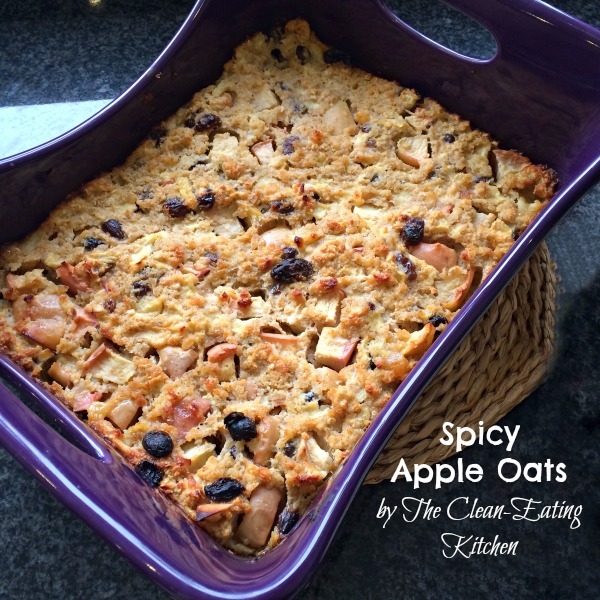 I chose to share with you my experience of the Spicy Apple Oats recipe. It’s full of flavors that combined so well together and are perfect for the festive season. 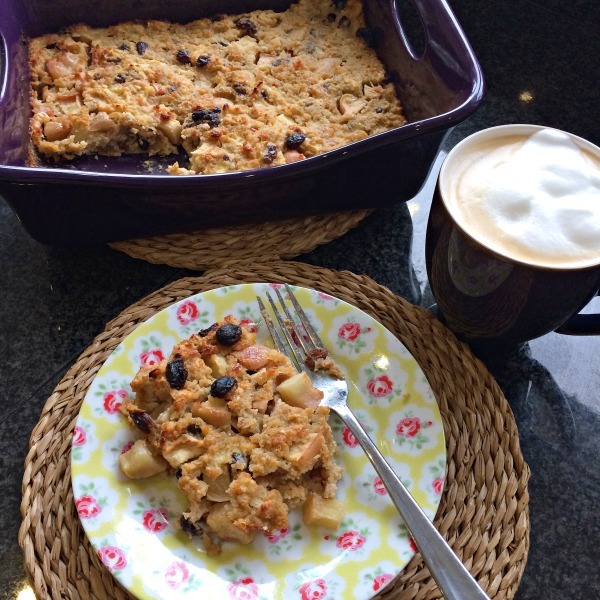 The mix of cinnamon, muscovado sugar, tangy apples and oats is superbly done. I am all about the texture of food too and once this cools out of the oven it just melts off your fork into your mouth. As I get further into my cookbooks my kitchen accessories are growing or maybe now that I am getting older these things just excite me more than they used to. 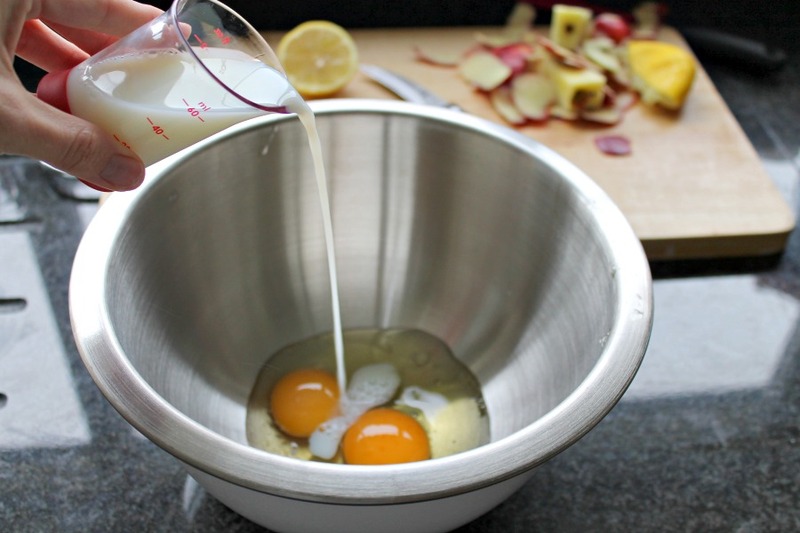 I was excited to do this recipe as it called for me to use some of my latest kitchen accessories such as my Oxo Good Grips steel mixing bowl, my new (and can’t rave about enough) Oxo measuring mini beaker set, and Oxo spatulas. The Oxo Good Grips have a stunning range of kitchen accessories to aid in your cooking, making those recipes that much easier to do when you have the tools to help! My kids absolutely love, love dried fruit of any kind. 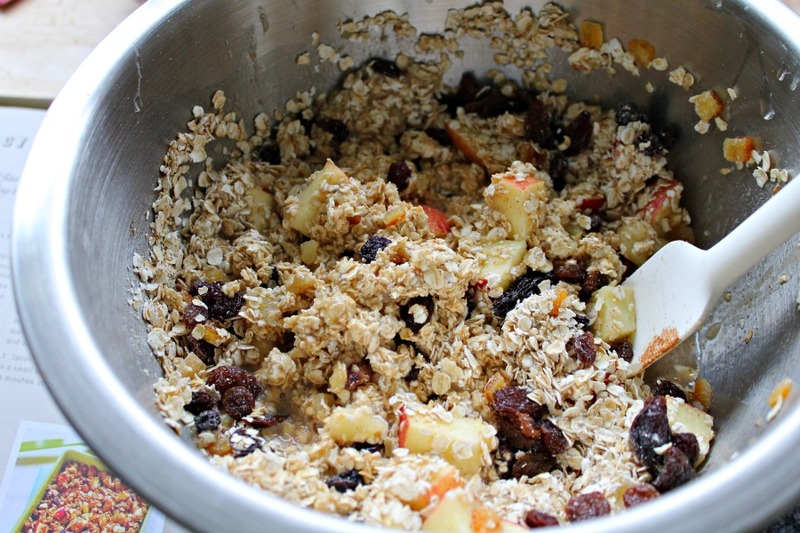 This recipe calls for your choice of dried fruit so I used a mixed bag of dried raisins, cranberries, cherries, chopped apricots, and sultans. The mixed fruit gave this such a great vibrant bold taste as I am sure it still would be great with one dried fruit I like the variety better. 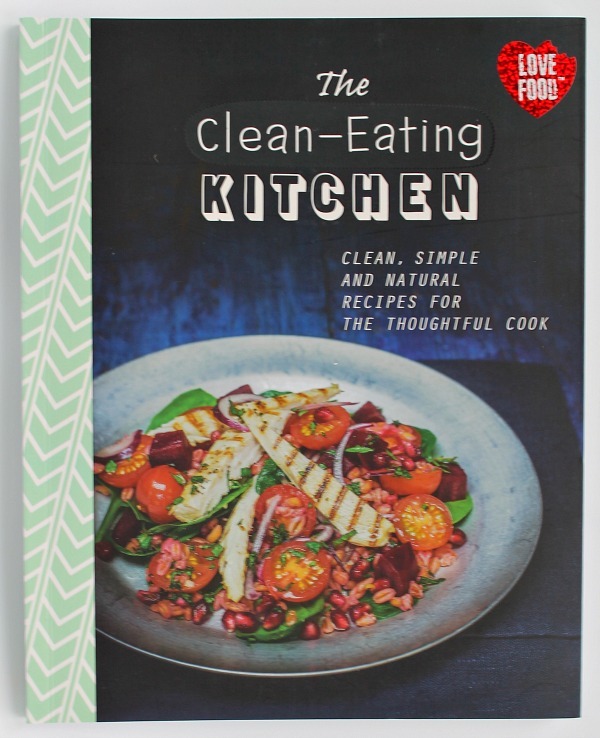 The Clean-Eating Kitchen cookbook is a great cookbook to lay flat next to your work space so you can check your recipe whilst you add ingredients. If you are like me with baby brain, it’s handy as I tend to read one instruction at a time or I forget and have to check measurements again. This happens to me a lot and cookbooks that roll up or close automatically can make this a long, hard and very frustrating process. I don’t know which looks more delicious the uncooked or cooked versions of this recipe. I do know as I baked it the whole house smelled like Christmas time that spicy apple cinnamon is a smell that just fills my heart with happiness and love. Not to mention leaves that lingering aroma in my nose all day long. Mr P and I really enjoyed this with a cup of coffee. Missy Moo was thoroughly delighted to have a big plate of it too. Since it had eggs in it, Buba could only take a little bite but he said it taste yummy and he did want more. The texture is like a spongy fruit cake but the flavor is more like a crumble. I might even try it next time with some added almonds or walnuts to give it a little crunch. I even snuck some off to my new favorite corner of the house, the day after while the kids were taking their nap and paired it with a gingerbread latte. The two together were heavenly and so was the peace. 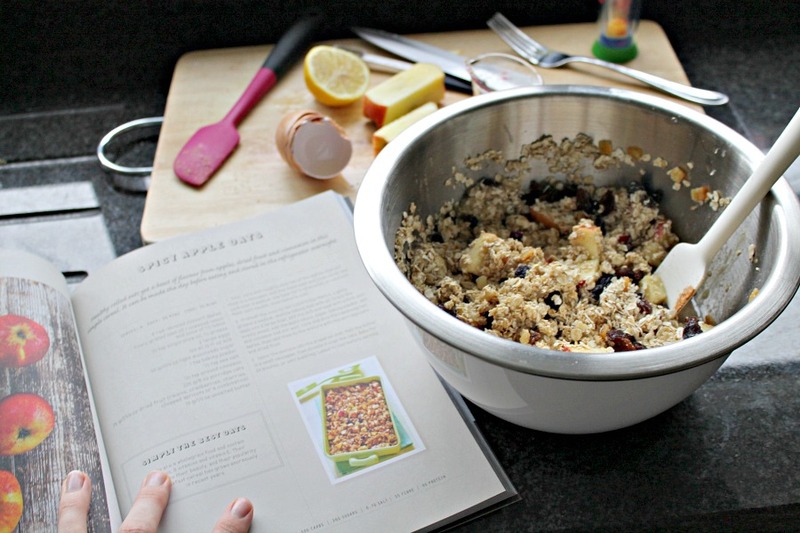 To get the full Spicy Apple Oats recipe and others I have mentioned above, you can click the Clean-Eating link above or it’s also available as an eBook at Sainbury’s, Nook, Kobo. If you know anyone that loves cookbooks as much as I do, I highly recommend this cookbook for a Christmas pressie too! Yum, :I think I need to do some clean eating. This looks great although I’d probably do it with fresh fruit, as I’m not a dried fruit fan. N is though, so he’d lap it up! Oh that does look yummy! Like you I’ve got a serious cookbook addiction, every time we go to the library I scoop up the new releases for a read and then if I find I’ve renewed it three times and still want it it goes on the Christmas wishlist! Thats a great idea. I am awful i just keep buying and buying. My reading list is ridiculious. I will never catch up. Thats awesome they want cookbooks. I am always looking out for new ones. I loved them as kids too. Thanks so much. That means a lot. Its a great healthy cookbook too. 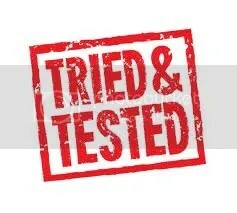 Love simple easy recipes. Thanks darling and thanks for hosting.